What is the "Cox-Talbot" Lecture? The Cox-Talbot Lecture was inaugurated in 1990 in honor of the first and fourth African-Americans to earn the doctoral degree in mathematics. 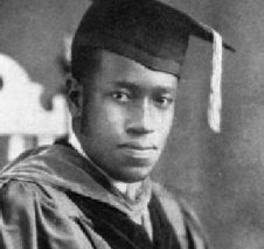 Elbert Frank Cox (1895 -- 1969) was the first; he graduated from Cornell University with a Ph.D. in 1925. In 1929, Elbert Cox moved to Howard University. 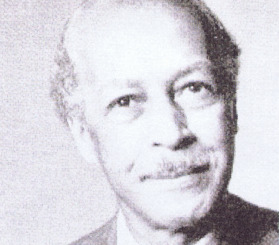 He served as Chairman of the Mathematics Department from 1955-61, and remained at Howard until his retirement in 1965. In 1975, the Howard University Mathematics Department, at the time of the inauguration of its Ph.D. program, established the Elbert F. Cox Scholarship Fund for undergraduate mathematics majors to encourage young black students to study mathematics at the graduate level. Walter Richard Talbot (1909 -- 1977) was the fourth; he graduated from the University of Pittsburg with a Ph.D. in 1935. In 1963, Walter Talbot moved to Morgan State University. He served as Chairman and Professor of Mathematics, and remained at Morgan State until his retirement in 1977. In 1978, NAM honored Walter Talbot "in memoria" at a luncheon and Morgan State University named a scholarship in his honor. Each year NAM invites a mathematical scientist or educator who exemplifies the spirit of Cox and Talbot in both personal achievement and service to the mathematical community. The hour-long lecture takes place during the annual NAM Banquet as part of the Joint Mathematics Meetings. Suggest the Next Cox-Talbot Lecturer! Cox-Talbot Lecturers should be prepared to present a banquet talk to a general audience. The talk need not contain mathematical content, but it should address an issue of interest to our general membership. We prefer speakers who have not given a Cox-Talbot Lecture in the past. We seek a diversity of speakers. Please remember that our intended audience will feature a diversity of race/ethnicity, gender, age, and subject matter. Briefly explain why this person should give the Cox-Talbot Lecture. Why "Mathematicians of the African Diaspora"? 2001: New Orleans LA Meeting #? ?